Can domestic violence and depression among teachers be among reasons for resorting to Corporal Punishment (CP) in homes and schools? Do existing laws to protect or discipline children, which have contradictory versions, let perpetrators go scot-free? These were among questions which were discussed at a recently-held meeting to review the progress of the ‘End Corporal Punishment by 2020’ campaign. 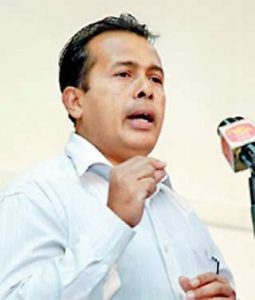 Emphasizing the link between domestic violence and CP, Professor of Obstetrics and Gynaecology, Hemantha Senanayake said that children coming from families where fathers assault mothers would generalize ‘hitting’ as normal behavior to correct wrongdoers. “They mostly go by the father’s authoritarian behavior. When they enter schools, they think teachers or principals can hit them to correct their behavior. 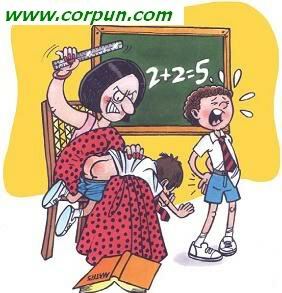 Children think that teachers have power and authority to hit them,” he said. According to Prof. Senanayake, no parent or a teacher hits a child with a loving intention to correct the child. They do so due to uncontrollable anger which is taken out on the child. “It is very unfortunate that school prefects hit younger students. They generalize their behavior by saying that they hit because they themselves were hit by their seniors, and now, it is their turn to hit,” he said. 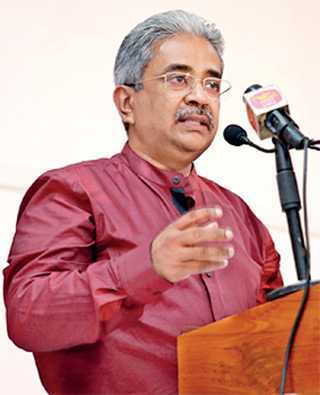 Prof. Senanayake, who is also a member of the University Grants Commission (UGC), claimed that bullying is on the rise and that children who were subjected to harassment would engage in destructive and violent behavior in later life. He pleaded for a change the law relating to child cruelty. ‘Stop Child Cruelty’ campaign Chairperson, Dr. Tush Wickramanayaka, said that the message of ending CP by 2020 has attracted much attention and support from many institutions, such as UGC, LEADS, Sarvodaya, Hindu Women’s Society, Presidential Task Force on Child Protection and the Family Planning Association. “In addition to being subjected physical pain, a child who has been subjected to CP undergoes significant mental agony,” Dr.Wickramanayake pointed out. The Pentagon Proposals drafted by the campaign has five stakeholders from the government, namely, the President, Minister of Education, Minister of Children’s Affairs, Minister of Law and Order and Minister of Justice. In the first phase of implementation of the Pentagon Proposals, it is to be ensured that there is a total ban on CP in an institutionalized form. Other aspects are the implementation of the National Child Protection Policy; regulation of international schools; circulation of all relevant orders among all schools and making principals and teachers aware about them; establishing child protection officers in every school and making all parents aware of those appointments through specially-designed materials which can be distributed in schools targeting students admitted to Grade 1 in 2020. Further, the beliefs and attitudes of parents, teachers and the law enforcement authorities, especially the police, who have their own opinions on CP, need to be changed by organizing awareness programs ,she added. 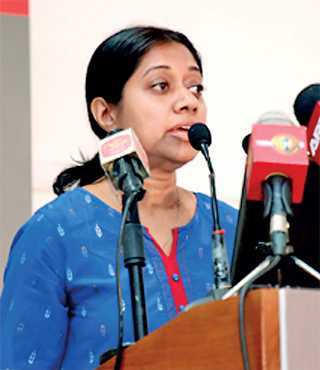 “A dialogue is on with the Ministry of Education to prepare a national formula to promote “positive punishments” to maintain discipline in schools,” Wickramanayake said. The need to enforce the 2016 Circular issued by the Ministry of Education was emphasized. The circular clearly asks schools not to practice CP but to promote positive methods of maintaining good behavior. Dr. Wickramanayaka also said that the campaign would put pressure on the Government to regularize international schools which are outside the ambit of the State control..
“We have already started a dialogue with top officials to make this circular effective in international schools also. Why do we treat our children in two different ways?” she asked. Appointment of Child Rights Officers who are responsible for children is another requirement to ensure the safety of children. “The Child Rights Officer are not enforcement officers per se but are those who know how to handle children, their safety and their rights. They will be closely working with school principals and teachers. And we will train them. Children who enter Grade 1 in 2020 will be given a leaflet to make them aware that ‘no one can hit them at school” Wickramanayake said. Most parents tolerate when their children are given CP out of fear that the kids would be further harassed and humiliated by teachers and principals if parents were to take up the issue. But Lalith Senanayake couldn’t keep mum when his 13-year-old son was badly beaten up by two teachers. The son is suffering from post-traumatic stress and is undergoing psychological treatment. “My son was punished, humiliated and beaten by teachers as I couldn’t take part in the cleaning program at the school. It was a nightmare,” he said, recalling the series of shocking ‘treatment’ given to his son by two teachers and the school principal for no fault of the boy. “I lodged a complaint with the police. But sadly the police officers justified hitting children as a means to discipline them. My son became mentally disturbed, lost his appetite and lost interest in studies. He started having nightmares. He would not go back to school,” the father said. After a few weeks, when his son was taken back to school, the principal, who thought that Senanayake was trying to protest against the teachers, threatened that he would again beat the child. Senanayake had complained to the Ministry of Education. But it is still carrying out an investigation into the incident which happened in September 2018. He made a second complaint to the police, which is yet to initiate an inquiry. He then approached the Human Rights Commission, which recorded statements from the teachers. Senanayake emphasized said that changing the perspectives and attitudes of parents, teachers and law enforcement officers is vital for the protection of children. “Teachers who punish children are the most powerful in a school. They even control the Principals,” he pointed out. Citing statistics from some studies, Shanthi Margam Executive Director Kamani Jinadasa revealed that over 41% of children had undergone physical harassment. Out of this, over 75% had been subjected to CP and nearly 90% had faced mental torture. She said that research had shown that children, especially boys, who were subjected to physical harassment and abuse, were involved in domestic violence later. “No one will be violent automatically. There are always some reasons for violence. The violent person may have been harassed or abused, especially at home and in schools, earlier. They transfer their violent experience to society when they grow up,” Jinadasa explained. 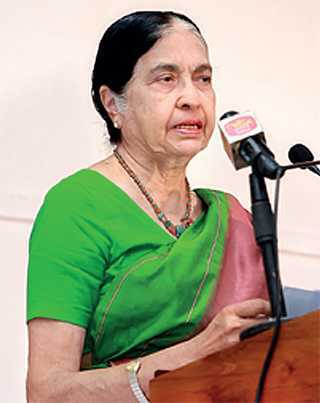 Emeritus Professor of Law and former Vice Chancellor of the University of Colombo Dr. Savithri Gunasekara said that in all religions, including Buddhism (the Sigalovada Sutta), had asked followers to bring up children using sweet speech, love and kindness. “Ancient Sri Lankan society had its own values. Robert Knox in his book about Sri Lanka had said that ‘their anger does not last long. Seldom do they beat even a slave’. But that very forgiving society has changed today. 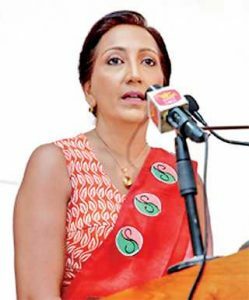 What we have seen in Sri Lanka is the manifestation of violence over time and we have not addressed it,” she said. “When we see weaknesses and inadequacies in implementation, we wonder if law is of any use. But the point is that law has a role in society. It is a failure of law in society, the State and the family which has led to the legitimization of violence,” she explained. 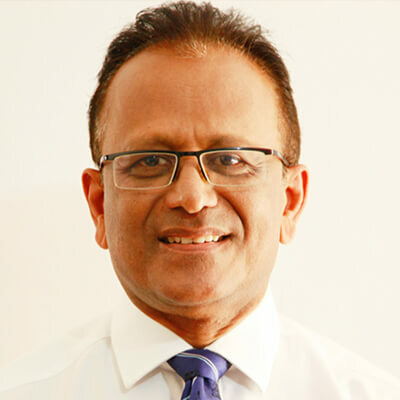 People should not lose faith in the legal system, which is essential in a country and upholds morals, Gunasekara stressed. “The concept of beating the wrongdoers came through British Colonial Law and later it was transferred to the Sri Lankan legal system. But in 1994 there were serious concerns about changing this concept and since 2005 whipping is banned in Sri Lanka,” she noted. 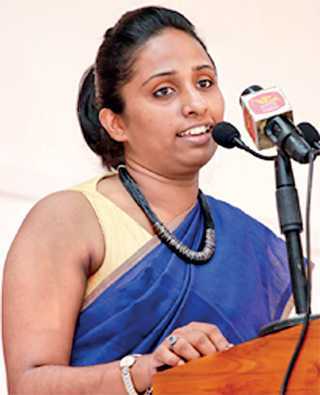 Prof. Gunasekara said that although Dr. Tara de Mel, when she was the Secretary to the Ministry of Education, had issued a circular banning hitting in schools, it never became law. “There is a need to reform the Penal Code to say CP is banned and is a crime. We also need to have one voice against CP,” she said. Speaking on the theme ‘Change the Law; it is Now or Never,’ LEADS Manager Advocacy, Nayomi Silva, said that out of 9,512 complaints reported to the National Child Protection Authority (NCPA) from 2013 to 2018, over 2,413 complaints were incidents of cruelty to children. According to Silva, there is no information about whether all the 9,512 complaints have been investigated and court cases filed against the perpetrators. Citing contradictory sections in the Penal Code and the other laws relating to children on CP, she said that the contradictory nature of the existing legal system has created loopholes. “Having contradictory laws is more dangerous than having no laws. This situation makes parents helpless when they seek justice. In the last 40 years, different organizations and campaigns have tried to bring change. There has been an attempt to introduce a juvenile justice administration system. But these suggestions are still to be implemented,” Silva said, stressing on the need for political pressure to change laws relating to children. “As parents, you have a great responsibility and power to pressurize politicians to include child protection in their manifestos and also to vote for those who have concerns about children,” Silva said. According to Faculty of Colombo Senior Lecturer in Psychiatry Dr. Chathuri Suraweera, cruelty against children is not given much attention, unlike women’s rights and animal rights. “Controlling a class with 40-50 students is not easy. Teachers can’t give attention to each and every student. I think there is a need to increase the number of teachers to two teachers in each class. But this is not possible due to the dearth of teachers in the country. However, when an additional teacher is in a class, students with impulsive behavior and learning difficulties can be identified and special attention can be given to them” she said. CP is generally directed at aggressive children. But they may have learning difficulties which have to be identified to obviate the need for CP, Suraweera said. Positive parenting and having a home environment conducive for children can prevent children from getting harassed in schools, she added. “When the home is a peaceful place for children, they will not behave aggressively in school,” she said, explaining that children should not be pressurized into being goal-oriented. They need time to enjoy recreational activities, music and reading. Parents also needed to be consistent in their decision making. They should spare time to talk to them. If parents and teachers feel that they are stressed and depressed, they need to seek psychological treatment as their traumas will affect the children under them, Suraweera said. 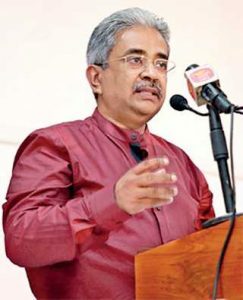 Speaking on ‘The Child as a Rights Holder, a New Era,’ Sarvodaya Shamadana Movement President Dr. Vinya Ariyaratne said that it is very difficult to get rid of CP as it is used everywhere, in homes and in society at large. “Cruelty to children is normalized in the social media in a big way. Alumni associations, WhatsApp and Facebook groups share abusive behavior,” he said, stressing the need for non-violent communication. The ECP 2020 campaign is organized by Stop Cruelty together with the Presidential Secretariat and the Sri Lanka Foundation Institute and is supported by leading personalities as patrons and an alliance of professionals.